South of the Marshall Islands, North of the Solomons, Nauru is close to 42 km south of the Equator and over 4,000 km away from its nearest neighbor, Australia. Isolated it may be, but Nauru has its own airline, tropical weather and an interesting history. An uplifted coral formation, Nauru's geographic isolation from other island neighbors has shaped its people, their language and history. Caught between trying to maintain an existence without further endangering its fragile ecosystem and securing a future for its inhabitants and the island itself, Nauru is turning to tourism for the first time. Nauru is opening its doors to the outside world, in the hope that the Nauruan people's peace loving hospitality and big Pacific Island welcome will entice travelers to sample a truly unique destination. 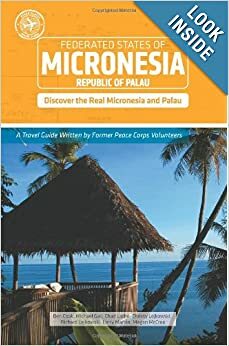 With less than 10,000 residents, it is the second least-populated country after Vatican City, with a mostly Micronesian population, Nauru offers travelers a truly unique Pacific Island visit. Air Nauru, now known as Our Airline, operates a Boeing 737-300 series aircraft out of Brisbane. Our Airline flies Brisbane-Honiara-Nauru-Tarawa-Nadi every Sunday/Monday and Nadi-Tarawa-Nauru-Brisbane every Wednesday. 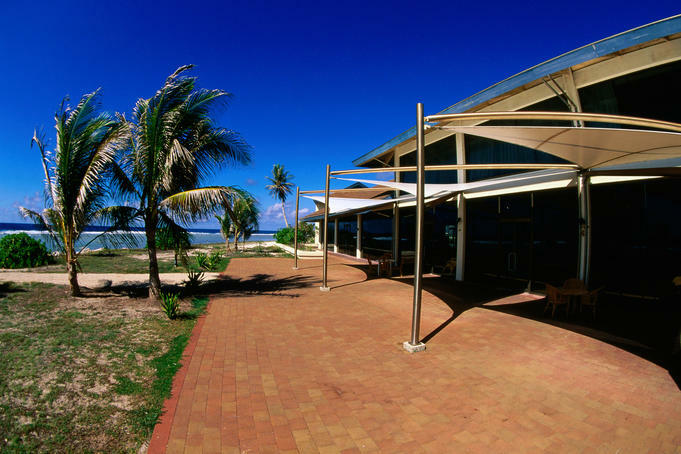 The Nauru airport is in Yaren, next to Parliament House, the police station and the administration offices. Visitors from commonwealth countries can be granted visas on arrival whereas visitors from non-commonwealth countries need to apply for visas. They can apply for visas via email at visa@naurugov.nr or at nauru.consulate@brisbane.gov.nr. Remember to bring beach wear for sunbathing/swimming but also conservative wear for visits around the island. Sturdy shoes for a visit to the phosphate interior is a good idea, as is some light wet weather gear for tropical rain. Sun block, insect repellent and all the other Pacific Island necessities would be a good idea; however there are shops on the island to provide some of these products. History: Settled by Micronesian and Polynesian people, Nauru was annexed and claimed as a colony by the German Empire in the late 19th century. After World War I, Nauru became a League of Nations mandate administered by Australia, New Zealand, and the United Kingdom. 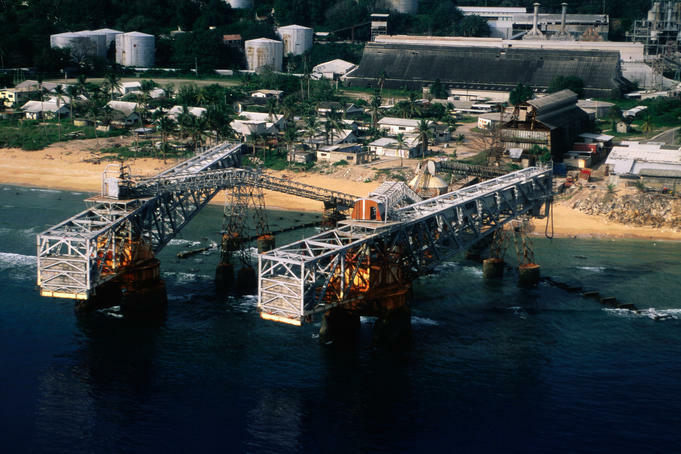 During World War II, Nauru was occupied by Japanese troops, who were bypassed by the Allied advance across the Pacific. After the war ended, the country entered into trusteeship again. 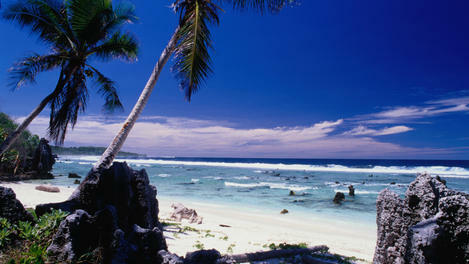 Nauru gained its independence in 1968. Weather: Nauru's weather is tropical with temperatures ranging between 24.4 C and 33.9 C. Heat is kept temperate by cooling sea breezes. The tropical weather has a monsoonal pattern, with a rainy season from November to February. North-east trade winds blow from March to October and average humidity is 80%. Customs/VISA: Angam Day, held on 26 October, celebrates the recovery of the Nauruan population after the two World Wars and the 1920 influenza epidemic. The displacement of the indigenous culture by colonial and contemporary western influences is significant. Few of the old customs have been preserved, but some forms of traditional music, arts and crafts, and fishing are still practiced. "I've been to most of the resorts and islands of Guimaras but 2 that I would like to mention are: 1. Magic Island - a private resort where one could relax and enjoy the entire island as your own since bookings are only limited. Advance booking is necessary if you want to go there.They can arrange a flat boat for u to travel from main island barangay to magic island passing by mangrove forest. The entire stay is worry free since they can cook all your meals and even serve 2 snacks a day. all included on their price rate as well as island hopping tour 2. SEAFDEC, Igang Marine Station - a marine reserve that is usually one of the destination during guimaras island hopping. It houses 2 giant grouper which is now 16 yrs old as of this post. Fish Pens or cages where placed in the middle of the sea that houses not only groupers but also mother milkfishes that grows a meter big as well as 'labahita' a fish that has a blade like tail.. and others that i forgot the names.. the marine reserve has a garden full of giant clams (oh, it's not only in land we can find a garden but here also.. a garden of giant clams! )I've been there twice one with an island hop and just last DEcember 2014, I was just so lucky I was able to get a permit to stay in their pink cottages that was original built for the scientist and researchers. Somehow they can allow tourist to stay but permit through invitation is required. Great adventure with marine life especially during low tide where I got a chance to stroll the sea beds and check on the different species of live sea shells, star fishes, sea cucumbers etc.. "